We are humbled, excited, and thankful to announce that on July 20th the clinic officially and legally opened it’s doors to serve the community of Bocachica. July 20th, 2016 will be a day that goes down in history for all of us here at Proyecto Libertad. We are so encouraged to share the news and to thank each person who participated in making this dream a reality. From the donor who helped us buy the property back in 2001, the youth group who helped clear the land, the countless staff, volunteers, and donors who participated over the last 15 years by working, praying and funding; the community of Bocachica…from small children to strong young men, middle-aged housewives and elderly grandma’s…who helped unload sand and cement, hauled building supplies, made cement blocks by hand, stuccoed and painted, who helped with every phase of construction, who cheered us on and kept encouraging us even when things looked grim and we wondered if this day would ever come. To the teams who have come and invested their time, resources and expertise in making this dream become a reality. To those key people who spent untold hours pouring over paperwork, creating operating manuals and safety manuals, filling out forms and applications; studying, researching and getting everything officially and legally ready for our inspection by the Health Department; and to our pioneering team of clinic staff who are dedicated to serving the community day in and day out! This has been a team effort and so many have invested a piece of themselves! There are too many names to name and we would fall way short if we tried. We thank the Lord for not letting us give up; for His protection, keeping everyone safe during this whole 15 year process; for sending so many people to help in so many ways; for providing finances and resources at each step; for correcting us when we were wrong, for picking us up when we stumbled, for encouraging us to persevere, and for teaching us so many lessons about life, service, and faith throughout this whole process. We thank Him for giving us the privilege of serving Him and for allowing us to see the dream come true. After witnessing and experiencing His faithfulness through it all, we know can stand firm and trust that He will continue to be with us as we learn to walk out this new phase of the dream. We know there will be new challenges to face, more mistakes to grow and learn from, and bigger mountains to climb. But we know that we are not alone. In late November, ministry directors, Jorge and Karen, headed back to the USA for some medical check-ups. Unfortunately what was intended to be a few weeks stay has turned into another year-long journey as doctor’s discovered that Karen has had a relapse of Hodgkin’s Lymphoma, which was first diagnosed when she was a young teen. Karen is now undergoing chemotherapy and if all goes well, she and Jorge hope to be back in Colombia full-time by the beginning of 2017. In the meantime, Erika continues to do an excellent job of leading and directing the ministry in their absence. The Cruzate Family returned from 6 weeks in Iquitos, Peru where they were attending a YWAM school of leadership development. After almost 13 years serving with Proyecto Libertad, Samy and Marley are considering moving to the city of Pereira to help launch a new mobile worship team with the YWAM base there. They are still praying about this decision and about the timing but they are excited about the possibilities. Jorge was able to travel back to Cartagena for almost a month and a half to help tie up some loose ends and to spend the holidays with our staff. We were happy to have Astrid with us again. Just like old times. Just a few days after ringing in 2016 we welcomed our first volunteers for the new year. We have been so blessed to have these three young ladies join us as volunteers. Louise and Ida (left and right) came for three months from Denmark and Ricarda (middle), from Germany, will be with us for six months. Shawn, from Colorado, came for a month to help us tackle our long list of mission maintenance projects! This was a specific answer to prayer and also to the SOS we issued back in October! We thank the Lord for Shawn and his servant heart. Our biggest focus during the month of January was tackling an ever-growing list of maintenance projects that desperately needed attention: deteriorating walls, rotting stairs, and termite infested paneling, just to name a few. Scraping paint and tearing down wood ceiling paneling. …in with the new metal stairs. Scraping, repairing, and painting dorm room walls. A fresh coat of paint in the men’s dorm. Due to termites and water damage, we had to take out the wood paneled walls on our back porch. Ricarda sanding and helping to repair bed frames. We are so excited to welcome our newest full-time staff member! Esther is a Colombian doctor and will be directing the clinic. What an answer to prayer! Goodbye get-together for Shawn! We were so blessed by all your hard work and servant’s heart! It was great having new friends and old with us… Mari (left), a nurse from Florida visited us for the first time and Yolanda (right), a nurse from Bogota visited us for the uh…millionth time? We’ve lost count! Here they are with Ricarda and Esther. We had a great week with a short-term mission’s team from Hope Lutheran Church from Minneapolis, MN, led by our long-time friend, Ben Sollie, who is now on the pastoral staff at Hope. This group was also an answer to prayer and a direct answer to our October SOS! Aiste, a nurse from Lithuania volunteered with us for 2 weeks. 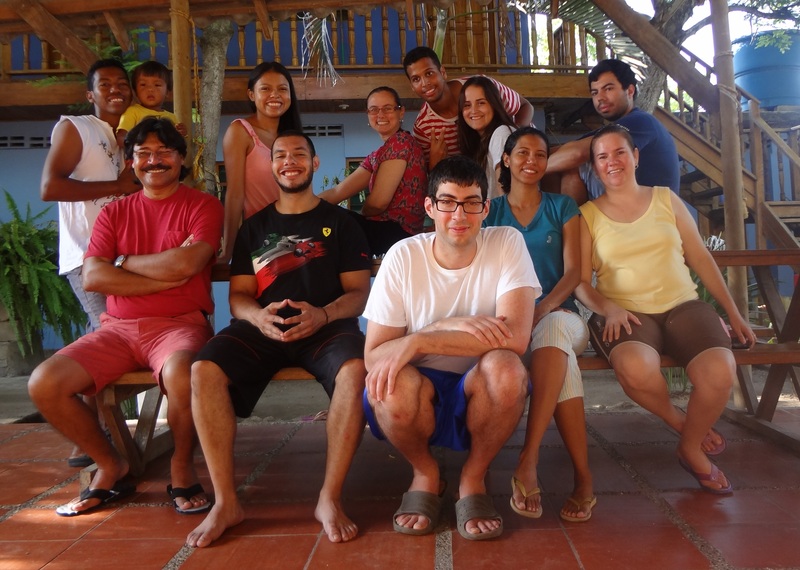 Early in March our staff attended a weekend city-wide YWAM staff retreat outside of Cartagena. It was a time for all the staff of the different YWAM Cartagena ministries to come together for fellowship, worship, prayer and teachings. 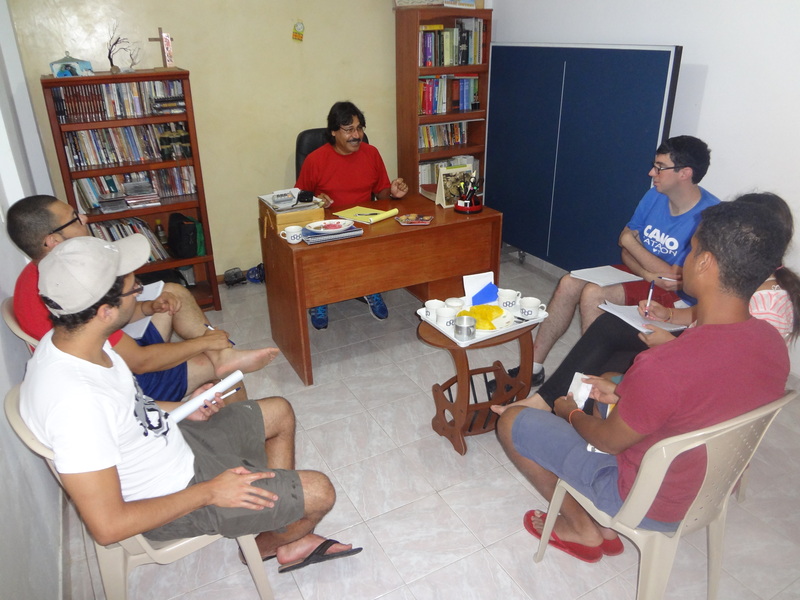 Proyecto Libertad is part of a family of about 10 different ministries operating in Cartagena. This month we also hosted a group of 13 German volunteers for 5 days. They are volunteering in different parts of Colombia with a sending organization called “Weltwärts” and came to Bocachica to meet together for a time of debriefing and retreat. Jorge was able to return to spend the month of March with our staff. He was able to work with Elisabeth on finishing up the clinic paperwork, help host the German group, and take care of a few other items of official business. He will be returning back to the USA on March 31st as Karen prepares to start her second round of chemo. Staff fun day in Turbaco. Last week we had the joy of hosting a small team from the YWAM base in Cartagena. Meet Dayana, Esther, Angie, and Natalia: four sweet and hard-working girls who love Jesus and letting their lights shine. They hel ped us with a lot of different things all during the week like maintenance projects at the mission, evangelistic outreaches in the streets, making home visits to share and pray for people in the community, ministering to the elderly, children’s activities, attending patients at the clinic, and helping us with a yard sale. We thoroughly enjoyed spending the last two weeks with a team from McGill University. These students are a part of McGill’s World Vision chapter in Montreal, Canada. 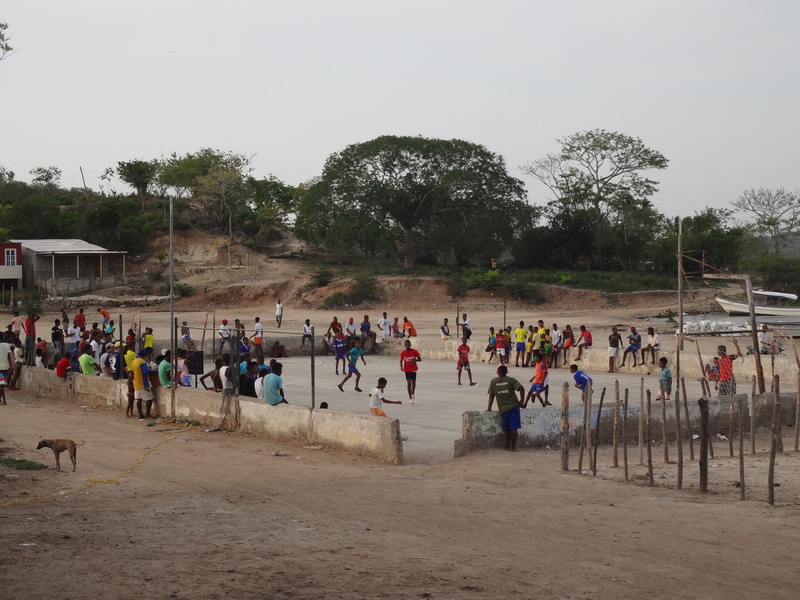 They organized a soccer tournament for the kids in Bocachica and each afternoon the “cancha” was bustling with activity. The team visited with many families in the community, researching ways that they can continue to help in the future. They also spent hours with Jorge, asking him all kinds of questions about his experiences in founding Proyecto Libertad and working in the area of community development over the last 20 plus years. They participated together with us each Thursday evening at our weekly cell group meeting. And they were also very happy to be able to bless a family with a latrine! A special “Thank-you!” to Leon, Michelle, Juan, Gianni, and Marcello!! Yesterday we said goodbye to another group from a Korean church group visiting from the United States. They came to us through one of our partner ministries from YWAM Cartagena called ESUNIC. 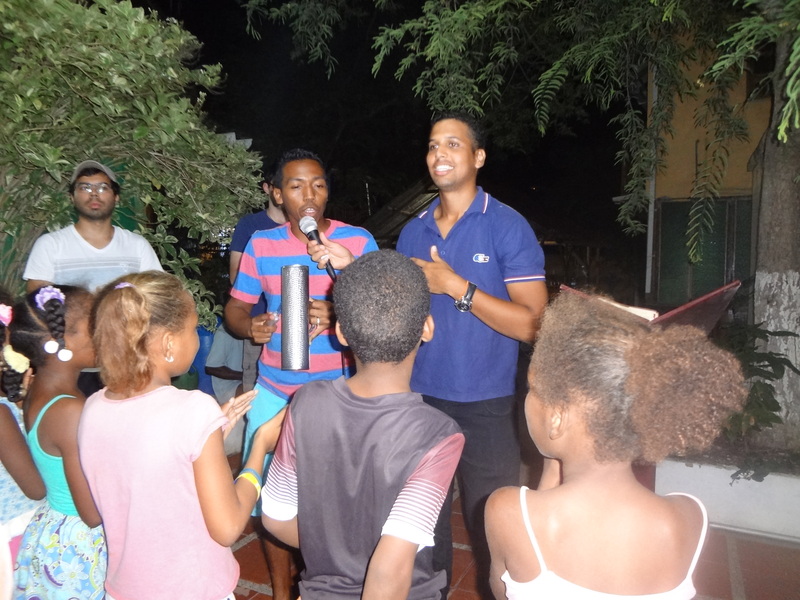 We had a lot of action going on in Bocachica over the last couple of days involving children’s ministry, a medical brigade, and a special presentation at our weekly Thursday night cell group.